There are two new fibers in the BluebonnetFibers Shop. 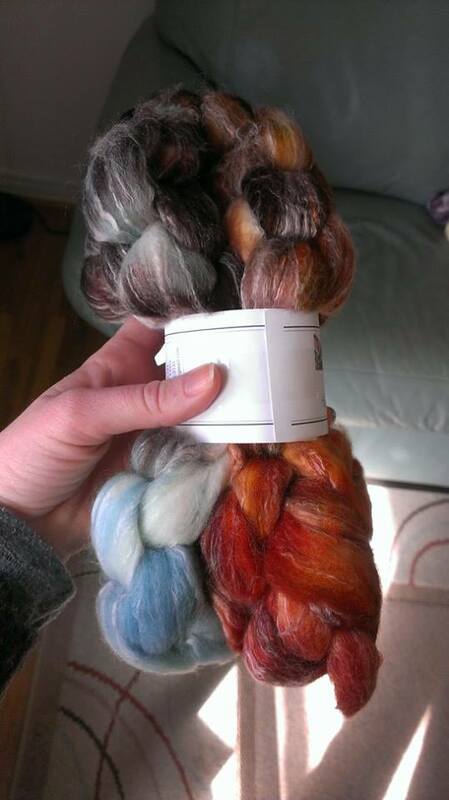 Robin Redbreast (on Panda: merino, bamboo, nlyon): This colorway caught my eye immediately. It feels like the end of winter hanging on and the beginning of spring creeping in. Robin Redbreast is on Panda blend, which is rapidly becoming my favorite to spin on my is currently my best selling base. 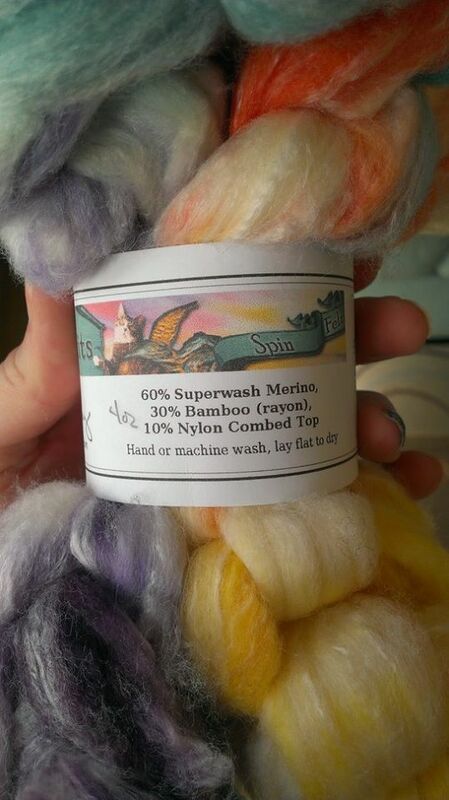 New Day (on Panda: merino, bamboo, nylon): This colorway screams spring to me. I love the colors: soft purple, blue, orange, and yellow. It is also on the bestselling Panda blend. All fiber is first come first served, but at the moment I can get more of everything on this post. Depending on yardage, they will run $35-40 per skein, which I will know once it is spun. You can contact me below, email me at bluebonnetfiber@gmail.com or message the shop on Facebook if there is something you want. I currently have a 2-3 week wait list, but I would love to add you to my March/April queue. You will get regular updates on your fiber’s adventure through the wheel and once finished I will post it as a reserved listing on Etsy for you! Progress on everything I spin is on my Facebook page. If you haven’t joined us over there please do! 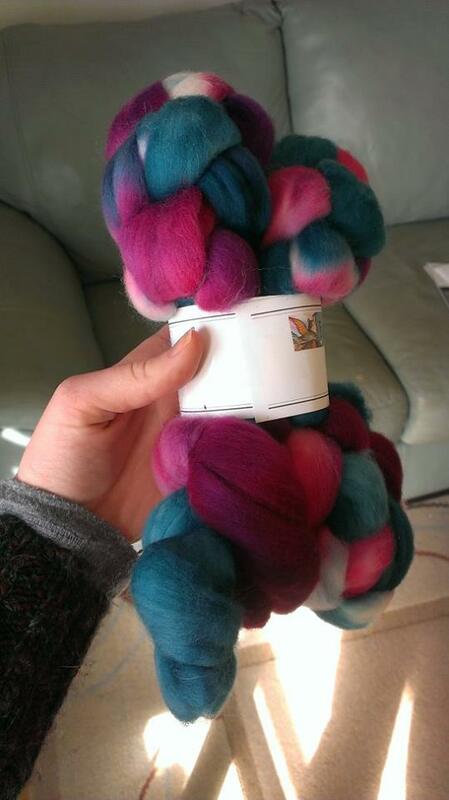 You can see what is on the wheel and what people are making with Bluebonnet Fibers Yarn. 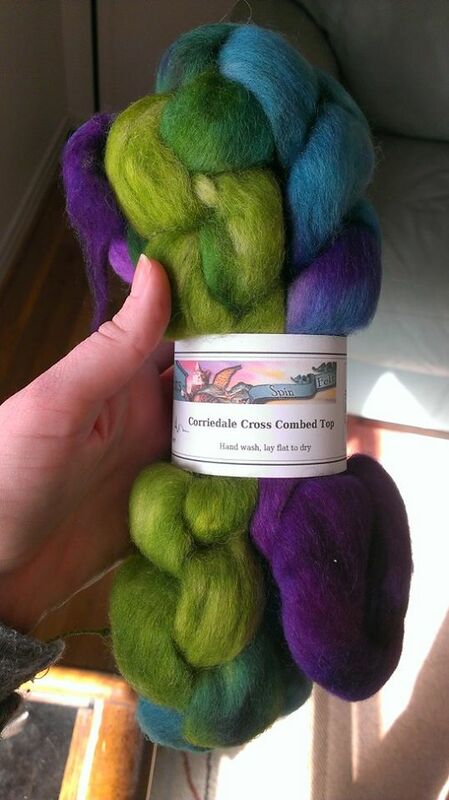 This site is home to my new yarn and knitting adventure! There isn’t a whole to see today, but in the next few weeks I will have things to share. And soon, things to buy. However you stumbled upon us – we are glad you are here and hope you stick around.